Watch Jon Ronson's TED Talk about the lives ruined as the result of high-profile social media shaming, based on his book So You’ve Been Publicly Shamed. 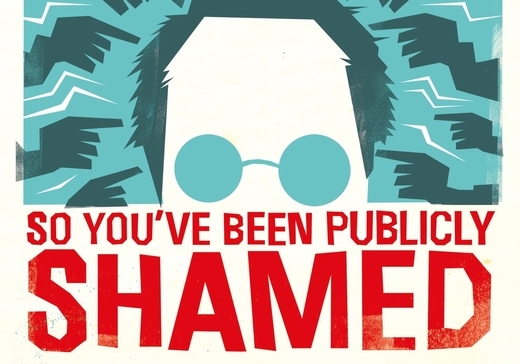 When Jon Ronson told me he was exploring the concept of public shame, I was captivated. I knew the book he would write would be powerful, funny and smart. What I didn’t know was how important it was going to be. In So You’ve Been Publicly Shamed, Jon uses all of his virtues as a writer to a more serious purpose than he has before: he explicitly wants to effect change. He says we’re ‘creating a more conformist, conservative age’, that ‘we are defining the boundaries of normality by tearing apart the people outside it’ – and that we shouldn’t. One of the central themes in Jon’s book is the role played by social media in this great renaissance of public shaming. One only has to glance at the news to see how widespread the practice of shaming has become. Do you want to live in a world where people’s lives are ruined for a transgression as small as a single badly worded joke? At a TEDGlobal event in London on June 16, 2015, Jon gave a talk about Justine Sacco, the victim of a life-changing social-media shaming campaign, to illustrate how too often we end up as a baying mob. Not only do I endorse the humane view Jon expresses in this talk, I think it should be shared as widely as possible. Watch this video and reflect on Jon’s message: that many of the ‘bad’ people aren’t so very different from you and me, and we do no one any good by tearing them apart. Jon Ronson's So You’ve Been Publicly Shamed is out now in paperback, ebook and audio. Listen to an audio extract below.